Hello dear readers! Hopefully by now you’ve all noticed the festivities going on around here for Dice Hate Me’s 7th anniversary. Well, because I want the party to be a big one, I’m giving away a big present with all sorts of goodies! And there are several ways to enter. First off, the stuff. The winner of the 7th Anniversary giveaway will receive a brand new copy of First Class (in honor of the latest review on the site), my personal copy of Red November (the actual one I played 7 years ago to write the first review for the blog! 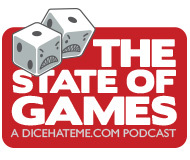 ), a copy of Angry Dice, a Dice Hate Me t-shirt, and an opportunity to appear on an episode of The State of Games podcast to talk about absolutely anything you’d like! Here are the different ways you can enter the giveaway. Each method will get you one entry, so give ‘em all a shot! 1) Submit a comment on anything on dicehateme.com. It would be awesome if you commented on the recent review of First Class, or on some of the curated links I shared in the Anniversary post, but if there’s something else you love and want to comment on, feel free! 2) Share a link to this post on Twitter! 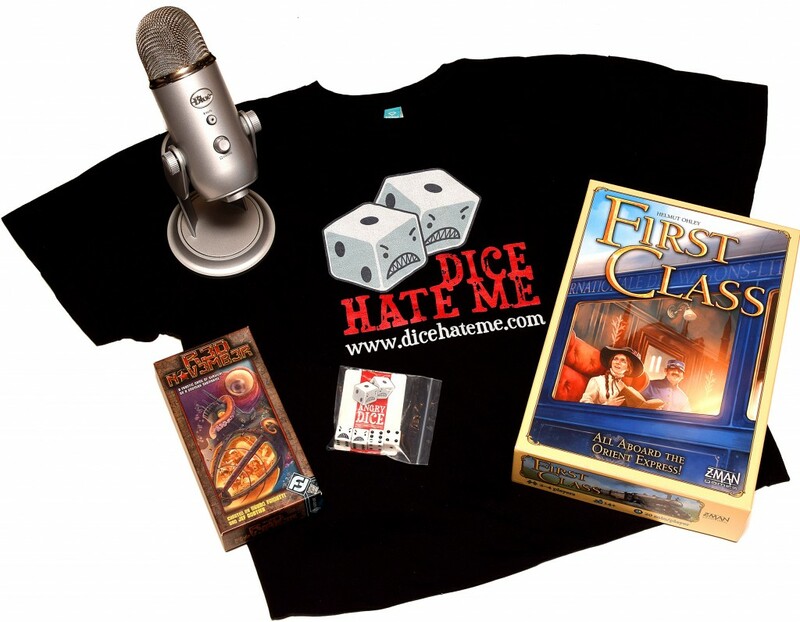 Please tag @dicehateme, tell everyone it’s the 7th Anniversary, and use the hashtag #DiceHateMeGiveaway. 3) Share a link to this post on Facebook! Please tag @dicehateme and tell everyone it’s the 7th Anniversary! 4) Head over to Instagram and follow @dicehateme. That’s it, that’s all you have to do! If you don’t have Instagram, you totally should. I post a lot of cool content over there that I don’t post anywhere else. I’ll choose the winner on Sunday, June 11th, at 9 p.m. and post about the winner on June 12th. Thank you all for visiting, and for reading, and for being awesome all these years! I’m a new listener and I appreciate the chance to win this giveaway! Thanks!